Avril Daly joined Retina International as CEO in January 2016. 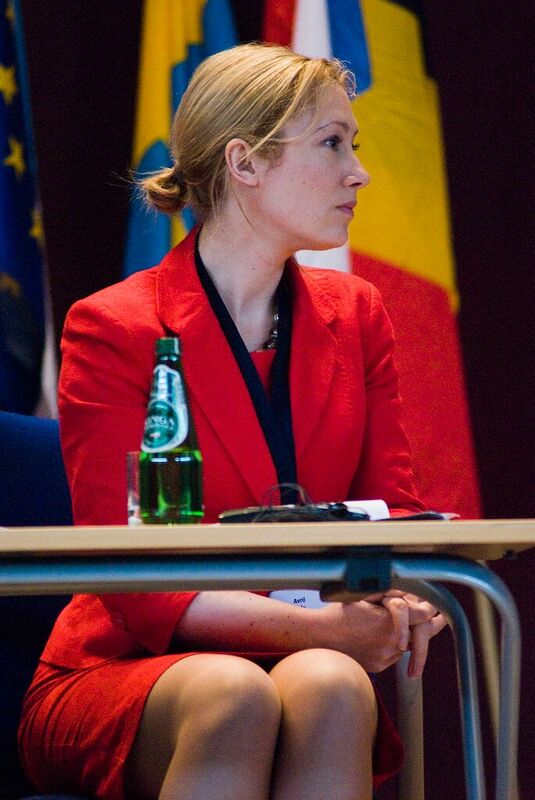 From 2009 she held the position of CEO at Fighting Blindness Ireland. Avril has been a patient advocate for 17 years with a particlar focus on working towards improved funding and infrastructues for research into rare conditions, clinical trial development for small populations and access to medicines for unmet need. She has been Vice President of EURORDIS (Rare Disease Europe) since 2012 and chairperson of the Genetic and Rare Disorders Organisation (Rare Disease Ireland) since 2009. In 2011, Avril was appointed by the Irish Minister for Health to a steering committee that developed the Irish National Plan for Rare Diseases. Published in 2014, it represents the patient voice on the working group of the Clinical Programme for Rare Diseases at the Irish Health Service Executive (HSE). Avril was previously co-chair of the National Vision Coalition in Ireland and chair of the Vision Impaired Service Providers Alliance (VISPA). She was a founding board member of the Medical Research Charities Group (MRCG) and, the Irish Platform for Patients’ Organisations, Science and Industry (IPPOSI). Avril was diagnosed with Retinitis Pigmentosa in 1998. On the reality of a diagnosis with RP she said “I had just finished college and started my professional carreer when I was diagnosed with RP. I was fortunate that my employers continued to support me and I was able to continue to work and grow in a great communications company with colleagues who remain very close friends today. I know that this is not always the case. Like so many people diagnosed with RP where there is no family history of the condition, you can be almost releived by a diagnosis. At least you know what you are dealing with and you understand that, in fact, it is unusual to have ‘night blindness’ and you are not just the “Clumsy Girl”. She says it is the people she encounters that motivate her to continue to work for those affected by blindness and rare diseases, “I had always wanted to work as an advocate and when I quit my job to go work in Public Affairs at Fighting Blindness in Ireland, I admit I just hoped that it would give me some good experience in health advocacy. I could never have known then that I would meet the most dynamic, logical and dedicated people who embodied the meaning of the word ‘visionary’. They showed me that it is possible to make positive change by encouraging stakeholder engagement and working with like-minded individuals to realise common goals. I was encouraged to get involved with international organisations and I learned the experience of people with rare and common retinal diseases in other countries. It was so clear that regardless of where a person lived, the challenges remained the same. The retina community motivates me every day to do all I can to work with them towards a better future for all those living with degenerating vision no matter where they live and what thier circumstances, for the doctors who want to deliver better care to thier patients and the researchers and innovators who work tirelessly every day to bring about a bright future for this community”.